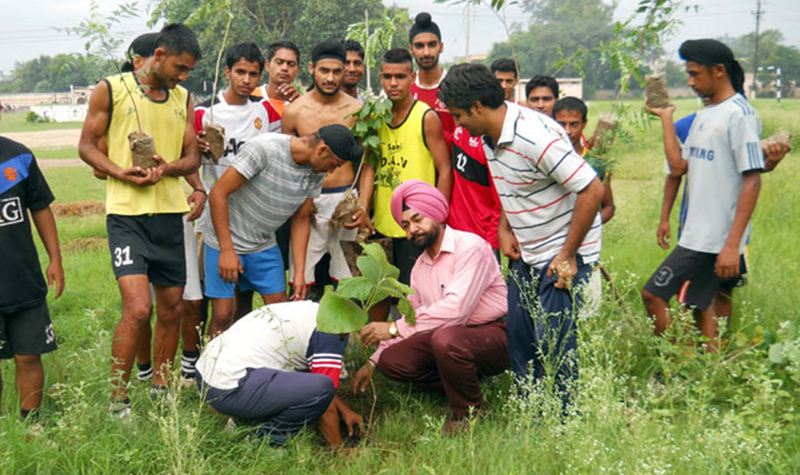 PAHAL organized a Tree Plantation in the Play Grounds of DAV College, Jalandhar involving sportsman of the college. 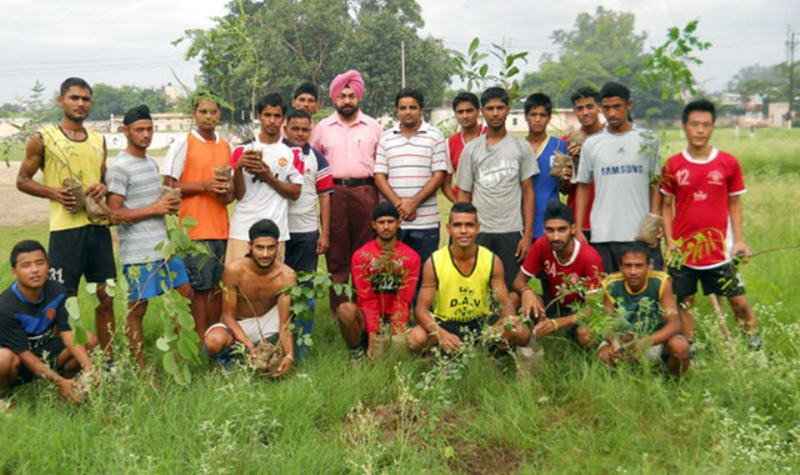 Prof. Lakhbir Singh President ‘PAHAL’ told that we are facing many problems due to environmental degradation and weather changes resulting in climate change. Unaware and selfish developments of modern time pose big threats to the life on the earth.